The £7.20 minimum wage increase is a blessing to those over 25 currently earning the national living wage, but a headache to company owners and shareholders seeking to maximise profits. Many of those in the SME sector will see it as another example of government red tape costing small business owners dear. 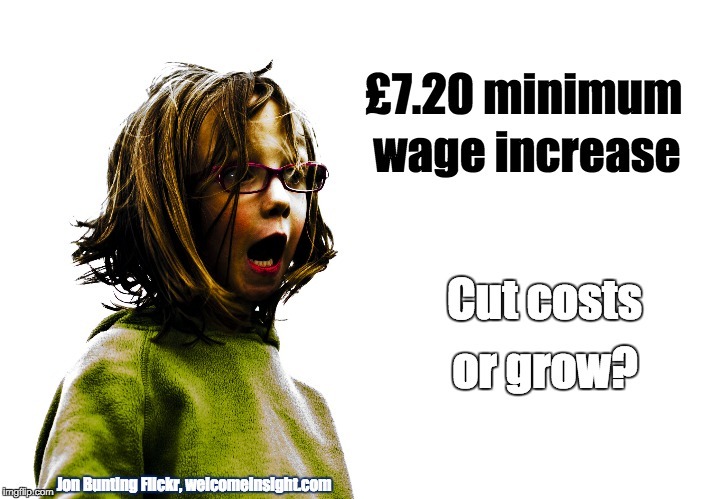 Who is affected by the £7.20 minimum wage increase? According to a CIPD survey, the £7.20 minimum wage increase for over 25 year olds will affect over half of the UK companies’ payroll bills. The increase comes into force 1st April 2016. It’s not only the over 25s who are likely to feel benefits either, those in job grades receiving pay just over the minimum wage are also likely to see a marginal increase. Companies with a strong strategic financial oversight will have planned long ago as how to ensure they meet this additional payroll burden. Some will increase prices to customers, others will reduce supplier costs, or rely less on agency staff. Those organisations who reward their staff through generous benefits on top of the minimum wage may change their structure. Will these companies reduce the benefits to allow for the increase in minimum wage? It is imperative that organisations paying the minimum wage plan ahead for these changes. But rather than simply looking at how to cut costs, why not use this as an opportunity to drive your organisation forwards and to pay for the increase through growth? Research shows very clearly that doing the following three things increases revenues, profitability, customer service, retention and innovation, as well as reducing sick days and accidents at work. Yet in our experience very few organisations do them. It sounds so simple, yet so few organisations do this effectively. Many organisations do not have a clear vision, much less one that appeals to hearts and minds. Those that do are poor in communicating the vision on a regular basis. Yet a key driver to employee engagement is that every member of staff has a clear idea about why the organisation exists, and where it is headed. Action: As part of your plan to implement and communicate the £7.20 minimum wage increase, plan meetings with all staff to communicate your vision and strategy. Disclaimer: communicating your vision and strategy to all staff will excite and enthuse provided your vision is clear, and engages hearts as well as minds. If in doubt check The Importance of Vision. We spend a vast proportion of our waking hours at work. If we feel that our role is unimportant, and makes no difference to anyone, we will get depressed and not give of our best. It’s the sense of making a difference that drives our own engagement levels. And it’s this level of engagement that drives discretionary behaviour – meaning we give of our best. Action: Ensure that every member of staff has a clear set of roles and responsibilities, and that their manager spends ten minutes talking through just how important their role is to the organisation. Ensuring each staff member, from reception to sales, finance to delivery, understands how critical they are will turbo charge your employees. When we feel valued in a relationship we are more likely to be emotionally invested and committed. Why should it be different with our relationship to our work place? A key aspect is two way communication based on openness, trust and mutual respect. Understanding the vision, and our role within the organisation is key, but so is empowerment and collaboration. If senior managers take the time out to listen, really listen, to their employees, it will significantly increase charge employee’s engagement levels. Send a clear message that “managers care”, “I matter” and “we are in it together”. Action: Ensure senior managers hold regular ‘open forums’ designed to support real two way communication. Their focus can be anything provided real two way dialogue takes place, where managers take the time to listen to concerns, ideas and answer questions honestly. A good relationship with our immediate managers not only increases retention (reducing recruitment and training costs) but also drives sales and profitability – key to paying for increases to the minimum wage. 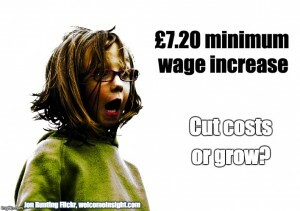 The £7.20 minimum wage increase will increase costs. Planning ahead is imperative. But rather than cutting costs, take this opportunity to increase your organisation’s engagement levels which in turn drives the bottom line. Be clear about your vision. 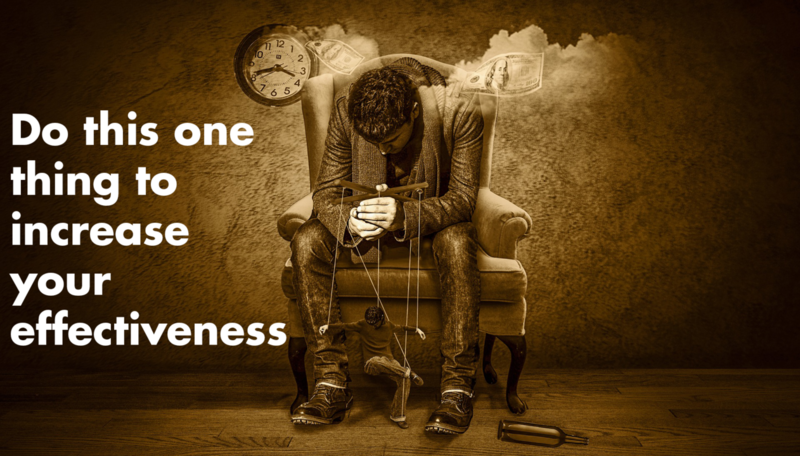 Ensure everyone knows his or her role. And work collaboratively with your employees to drive revenues and profits.